One: if I hadn’t scared bloody Michael Limawan and his two Lord of the Rings super geeks away, they would have told me that Frodo would tell you never put on a cursed piece of jewellery. Two: there was a reason why that necklace mysteriously appeared on Rebecca and not me. Because it was intended for her. Rebecca was supposed to be the star of this story, not me. In the correct circumstances I would have been regulated to the sidekick status Rebecca said belonged to me, and I would have been happy with that. I’m cool with the stereotype. Amy’s always been the sidekick to her best friend Rebecca, and she likes it that way. She doesn’t have to worry about all the guys loving her, and all the girls hating her; she can focus all of her energy into being Rebecca’s go-to gal and dealing with her superstitious Chinese mother. Amy certainly wouldn’t have planned to find a locket containing the ghost of a boy from the 80s that only she could see–especially not when that locket was meant for someone else. Now Amy has to deal with Logan, who see just might want to kill if he weren’t already dead, but just might love a little too. Preloved was a cute and surprisingly touching story about connecting with one’s identity. 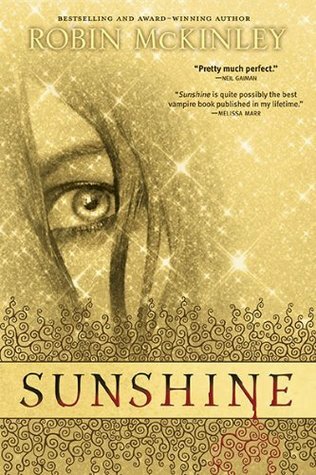 I expected a light hearted paranormal romance, a story where the sidekick finally got a taste of the limelight, but instead I got a story about a girl learning to embrace her culture, her family, and a life outside of the bubble she’d been happily living in so long. Preloved was certainly light hearted, but not in a completely fluffy way, and I found the incorporation of Chinese mythology both unique and fascinatingly fun. Sadly for me, Amy was one of those characters I was never really able to love. She’s too abrasive when it’s not wanted, too convinced that it’s her lifelong role to be someone else’s second, and she never really gets out of the mentality that Rebecca has it all and that’s how life should be. Rebecca was just a horrid friend, and I was disappointed that while Amy moves beyond being the moon that revolves around Rebecca’s world, she doesn’t wake up and realize Rebecca’s pretty terrible. Rebecca is one of those girls who cares immensely about looking like she doesn’t care at all, and very carefully cultivates a personality of intrigue and mystery, constantly placing Amy in a secondary roll with no idea that this girl deserves her own story. Only if Rory was a terrible self-absorbed friend all of the time (rather than just some of it) who always had a crazy hair color and Lane was Chinese instead of Korean and her mother was super Chinese traditional instead of Christian. Amy’s mom totally has the crazy vintage store and single mom thing down, which isn’t too far from antiques and a father that stops being mentioned after season one! But since it was Amy who was awesome enough to dress up as O-Ren Ishi while Rory Gilmore dressed up as Gogo Yurabi (also awesome), I feel the Gilmore references have to stop here lest things get too muddled. ANYWAY the whole concept of Preloved is pretty cute. Amy’s mom owns a vintage shop, where she likes to refer to the items she sells as preloved rather than pre-owned. The term takes on all sorts of new meanings as the story unfolds and Logan appears from a locket that used to belong to his girlfriend Stacey who just happens to look exactly like Amy’s bestie Rebecca. So where does Amy fit into this mess, especially when she’s pretty sure she’s falling for this non-corporeal being? Well of course Amy’s Chinese mother has spent a lifetime warning her about all of the things she shouldn’t do lest she attract a ghost…she just never told her about that one. And Logan isn’t a vengeful ghost or a hungry ghost, he’s just a [gorgeous] teenaged boy looking to get his girl back. Which brings us to the whole concept of reincarnation and the possibility that Rebecca really is somehow this Stacey girl that Logan’s so hung up on. I really loved Preloved‘s take on reincarnation, and honestly hadn’t heard many of the beliefs about it before. In Amy’s culture, the idea of reincarnation is partly a coping mechanism, but it’s also this really sweet belief that everyone gets a second chance, and that in each lifetime we have the opportunity to make our own decisions about who will be in our lives and who we will be as people–each lifetime is a fresh opportunity, or the chance to make up for your past. Preloved became very much about Amy connecting with her mom, and others in the Chinese community through their beliefs and sayings, as well as a look at the reality that so many of us idealize another time. Amy looked back at the 80s as a perfect and quaint time, whereas Logan looked at the present and was shocked that the problems of his day hadn’t yet been solved. 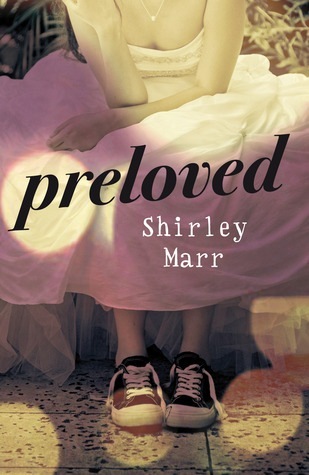 I do have to say that Preloved is the first YA book that has ever made me feel really old. I found the way Amy talked about the 80s to be pretty annoying, but a large part of that is the reality that I was around for a lot of that first hand. In the end I found Preloved to be both fun and well crafted, but not quite the perfect book for me. Likelihood that I’ll be back for more: Hard to say as Aussie books can be pretty hard to get a hold of over here. I am still interested in reading Fury, even though I didn’t fall head over heels for Preloved, as I understand it is an incredibly different book. Recommended for: Fans of the 80s, younger teens, those who enjoyed The Paper Menagerie or Midnight in Paris. 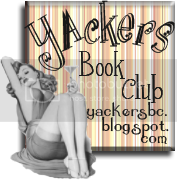 “And for everyone who prefers abnormal to paranormal and a bad romance to a love story” as Shirley stated in her dedication. Thanks, Keertana! Yeah, honestly I wasn’t so in love with this one that I’d say it’s worth buying from Fishpond, but if you should happen to have easy access to it at some point, it IS worth a go. I didn’t love it, but I did enjoy it enough to read through! I’m glad you did enjoy this for the most part, Heidi! I know not everyone liked Amy, I just felt really sorry for her and was so glad when the relationship with her mum improved, I just wanted them to keep hugging! Haha, yeah, I was thinking that this book was pretty reminiscent for me, but it must be even more so for you Aussies who understood the Aussie-specific 80s references! I didn’t love Amy, but I DID love that this was largely a story about her connecting with her mom even more so than her dealing with Logan. I didn’t expect that, and I thought it was something great we don’t see much in YA these days. I love all these Gilmore Girls references. Sometimes, when I’m reading a book, I get something like this in my head and it is impossible to get it out. Not a specific example or anything but I think things like, “I wonder if this author saw that episode of Hoarders that was just like this,” or “The author was probably eating Cheetos while writing this scene.” I loved the reincarnation stuff in this as well. Glad you got around to reading it! Oh, and you should still try Fury–it’s true that it has a completely different vibe to it. Hahaha, YES! I do that all of the time. Just wait till I finally post my review for Anna Dressed in Blood because it is entirely the whole ‘this makes me think of this’ thing, but in a good way. I will totally read Fury at some point! Pshhht, as if one can ever have too many Gilmore Girls references. I only received this a few days ago and I really don’t have the time to read it right away, but I’m happy to know that my assumptions were pretty incorrect. I don’t know how I’ll deal with Amy not being easy to like/connect with, but the rest sounds pretty good. Yeah, I know others who have liked her, but I didn’t really. The story kept me around though, I hope you enjoy when you have the chance to get to it! Sorry to hear you didn’t love this one! I’m really curious about Shirley’s books and I hope I can get to them eventually. Loved that you made several Gilmore Girls references, that’s one of my favorite shows. Haha, it’s one of my favorite shows too! I own all of the seasons, and rewatch them somewhat regularly. I did like Preloved, but no, I didn’t love it. 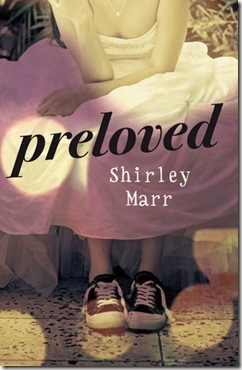 I’d still read more Shirley Marr though! 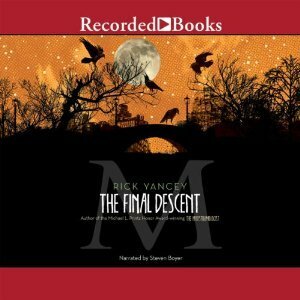 I hope you can get a hold of her books at some point, I was pretty fortunate to have the opportunity to read this one.